Dr.Martens Sale - Up to 75% OFF! [Union Jack Boots] Dr.Martens Sale - Up to 75% OFF! Last edited by Conch on Feb 14th, 2019 1:00 pm, edited 1 time in total. So, if it doesn't say it's "made from England" does that mean it's made in china knockoff? Nothing left worth consdering. It's a big selection of crap, unless you wear a size 7 or something. Last edited by thelasthunter on Feb 14th, 2019 12:35 pm, edited 1 time in total. Thanks OP. In for 2! I now own 7 pairs of Docs. Thanks, OP. Extra 10% off with email sign up. Unfortunately this won't stack with sale items. Anyone know the return policy of this site? 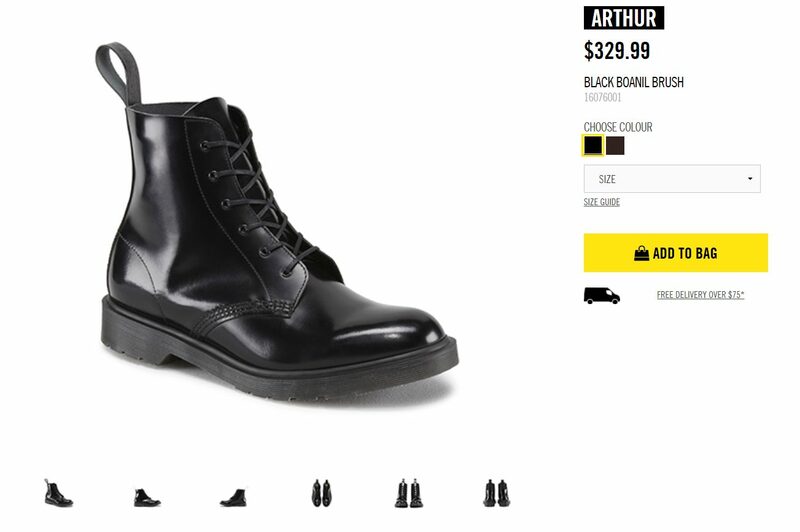 Dr. Martens are expensive. Even with the sale it's going to be hard to make an order that doesn't qualify for shipping. In for three...thanks OP...10% email code does not stack. Most Dr Martens shoes are no longer made in England, but China, Vietnam, etc. They're not knockoffs. Thanks (and thanked) OP. 2 pairs of Docs for $95 + tax - can't beat that deal. And I found lots in US size 10/UK size 9 still in stock by using the filter at the side. Thanks OP. Bought 3 pairs for my wife and 2 pairs for myself. Website didn't load but mobile site worked so managed to place order through my cell phone.